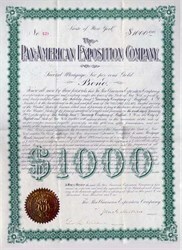 Beautiful uncancelled $1,000 Gold Bond Certificate from the Pan American Expostion Company issued April 10, 1901. This historic document was printed by the Niagara Litho Company and has an ornate border around it with a gold corporate seal. 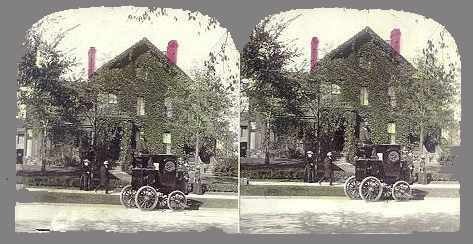 This item is hand signed by John Milburn who was the president of the Pan American Expostion Company. This hard to find bond is over 112 years old.